“In a no-deal scenario, it would be very difficult to avoid a hard border because of the obvious fact that, Ireland remaining part of the European Union, would no doubt be asked to implement European Union law,” Leo Varadkar said two months ago. A hard border on the island of Ireland will be enforced under a no-deal Brexit, according to the European Union. Jean-Claude Juncker’s chief spokesman told reporters it was “pretty obvious” that border infrastructure would be necessary if the UK were to leave without a deal. As reported by the Guardian, both the Irish and British governments have been wary about speculating on the repercussions of the UK leaving the EU without a deal. Ireland’s deputy prime minister, Simon Coveney, was caught on tape last week indicating that his fellow ministers should not talk about the resumption of checks publicly for fear of a backlash. 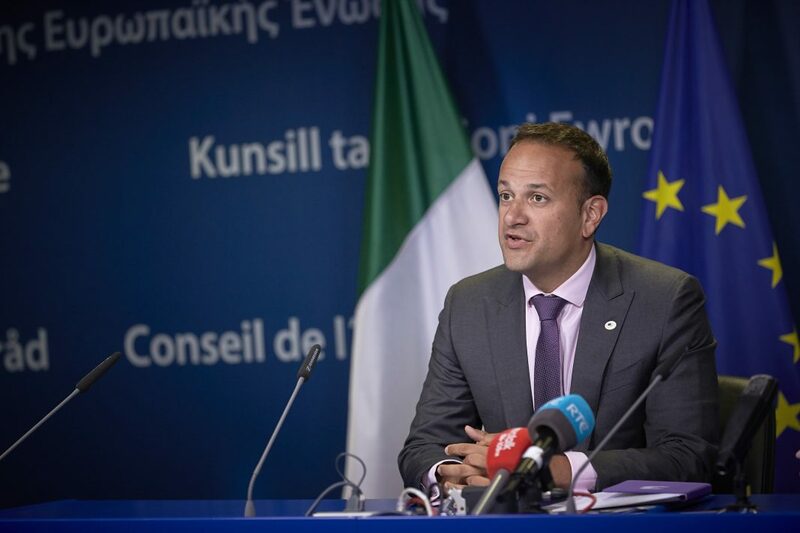 In the Irish Parliament, the Taoiseach, Leo Varadkar, insisted on January 22 that an arrangement similar to the backstop would still have to be negotiate if the Brexit deal failed to get through Parliament. The European commission spokesman also echoed the complaints of many in the House of Commons about Theresa May’s statement on Monday by claiming that “at this stage we have nothing new to say from Brussels because there is nothing new from London”. “We continue to follow very closely the ongoing parliamentary debate in the UK. We urge the UK to clarify its intentions as soon as possible,” the spokesman said. According to the Reuters news agency, the remark to reporters by Schinas reflected the EU’s position that Ireland, like other member states, would have to enforce EU customs and other checks on imports from Britain after Brexit in the absence of a special deal. Responding to Schinas’ comments, British Prime Minister Theresa May’s spokesman said Britain would do everything it could to prevent a hard border. Policymakers, however, have said little in detail on what might happen on the Irish border in the event of Britain leaving without a deal on March 29.